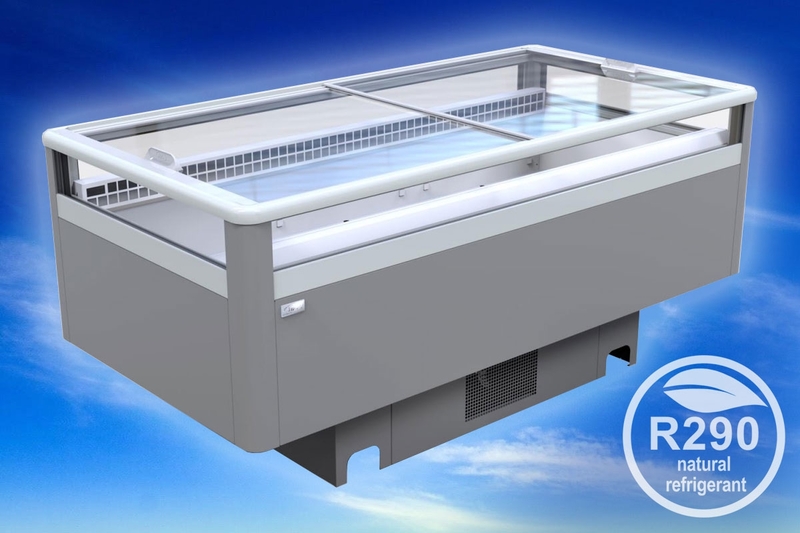 The ever popular WNPA-01 dual-temperature island fridge / freezer from JBG is now available in an R290 version. The WNPA-01 is available with or without sliding glass lids in the following sizes: 1.2m, 1.5m, 2.0m & 2.5m. JBG have a commitment to the roll out of natural refrigerants and now offer R290 or R600a options on a large proportion of their plug-in range. R290 yields higher cooling capacities with lower power consumption when compared with R404a making it an obvious choice. Hydrocarbon Refrigerants like R290 are inexpensive natural refrigerants that have no ozone depleting properties and minimal global warming potential (GWP). These hydrocarbon refrigerants will not be phased out due to their low global warming potential (GWP), thus hydrocarbons are becoming an increasingly popular choice in commercial refrigeration. JBG currently offer a wide range of plug-in fridges and freezers which use hydrocarbon refrigerants including: spider fridges, dual temperature islands, open multidecks, glass door multidecks, chest freezers, well / wall freezers & many more. Plug-in appliances using hydrocarbon refrigerants are just like any other traditional plug-in appliance with the exception that they are subject to limits on the amount of refrigerant allowed in each sealed circuit. If you would like more info on these systems, call us on 042 9665460.